A reward credit card is a type of card that offers you reward points, cash back, or some form of rebate. Credit card issuers offer these rewards in exchange for using their credit card. These rewards are tied to purchasing an item on the card. To be able to fund these reward systems, some networks were forced to increase their fees. Some major card issuers have recently raised the cash back percentage up to as much as 5%. This typically only applies to purchases made at pharmacies or grocery stories, however. In the United States, it also applies to gas stations, and gas cash back cards have become very popular due to rising gas prices. Travel for free – Many credit card issuers offer travel reward credit cards. These cards act just like cash back credit cards, but they offer travel miles instead of cash. Once you’ve collected the number of miles needed for the reward, the airline sponsored by the credit card issuer will give you a free travel ticket. Earn from your purchases – When you have collected the required amount of points, you can use these points to buy various goods or use them to purchase items from a credit card’s redemption store. Get discounted rates – Reward credit cards typically offer rebates for each purchase. Once you purchase an item, a certain percentage of the cost will be given back to your account. Additional privileges – Reward card members are offered exclusive privileges, such as travel accident insurance and car rental insurance, which are not offered to non-reward credit card holders. High interest variable rates and high annual fee – Reward credit cards sometimes can have a very expensive annual fee to make up for the losses the card issuers suffer due to the rewards. It is possible to find some with a low annual fee, however, or even with no annual fee at all. Aside from high annual fees, the interest rates can also be very costly. Reward limitations – This is another thing to watch out for. While the rewards look enticing, sometimes there are specific limitations written in the fine print. Some credit cards offer to give generous points, but only up to a certain amount (for example, 5% per dollar but only to $1000). After you pass the given amount, no matter how much you spend, no points will be given. Points can also be forfeited after a certain time period has passed. For example, unredeemed points at the end of the year might not roll over to the next year. The tricky part is most of these limitations are not stated openly. Make sure to read the terms and conditions carefully to know exactly how the reward system works. One of the unique uses of a reward credit card is the cash back program. Card holders receive between 0.5% and 2% of their net expenditure as an annual rebate. This can be sent to the card holder by check, or credited to the credit card account. This type of reward is beneficial to consumers who pay their credit card statement off every month. 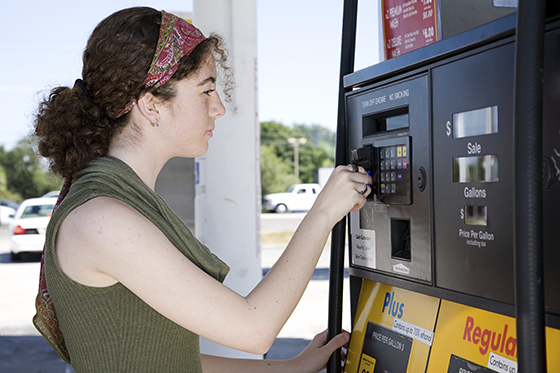 A popular reward program in the United States is the gas cash back cards. Companies provide an average of 3% APR on new gas credit cards. It works similarly to a cash back card, with the exception that the gasoline discount is usually applied each month as opposed to annually. Another popular use is for travel. There are many travel reward credit cards to choose from, which offer mileage points on your purchases, which can add up to free airline tickets. Visa offers two types of reward credit cards: Traditional Rewards Credit Cars and Premium Rewards Cards. The Traditional Rewards Credit Card offers various rewards like airline travel miles, hotel points, and cash back. The Premium Rewards Cards offers many types of discounts, ranging from travel to shopping to entertainment to sports. MasterCard takes you through a quick quiz before you select your card to help determine what kind of reward card you want. It offers cards tailored for travel rewards, cash back rewards, gas rewards, and shopping rewards. It then asks for the kind of credit card you carry at the moment, and your credit history, before helping you pick out an appropriate card. American Express has a large variety of cards to choose from. On the left side of the page under features, it allows you to check off the different rewards programs you are interested in, and then shows the cards that have these specific rewards. For example, the Platinum Card has premium service and rewards, with access to airport lounges and other luxury events.